iPhone owners who were planning to upgrade or switch to a new device due to performance issues might want to wait for some more time. Criticised for slowing down older iPhones with ageing batteries, Apple is focusing on reliability and is bringing performance enhancements with the iOS 12. Refining its star operating system for iPhones and iPads, this new update will bring a number of improvements. The iOS 12 update is said to launch apps on the iPhone 6Plus up to 40 per cent faster, load keyboard 50 per cent faster and take a photo to up to 70 per cent faster. Apple has also focused on optimizing the system when under load and the stress test shows up to two times faster app launch even during heavy load. Apple also claims that the iOS 12 will make Apple Chipsets smart as they ramp up the processor faster while protecting the battery life. Apple software chief Craig Federighi said, "For iOS 12, we are doubling down on performance". Apple received a backlash for slowing down older iPhones, which the company acknowledged that iOS software slowed down the performance of the older iPhones to avoid battery fatigue. But the damage was already done. This was followed by an immediate new battery replacement program, under which, Apple offered to replace the battery of the iPhone 6 or later models, for Rs 2,000 plus taxes instead of Rs 6,000 plus taxes. Earlier this year, Apple released an iOS software update with new features that gave users more visibility into the health of their iPhone's battery. It was just recently that Apple had also announced its plan to reimburse Rs 3,900 to all the customers, who had paid for the out-of-warranty iPhone battery replacement between January 1 to December 28 2017. Unlike last year's iOS 11, this year's iOS 12 OS doesn't have a facelift but brings in some new features including Siri Shortcuts, Measure app, ARkit 2 for shared experience, group FaceTime, limit screen time and more. 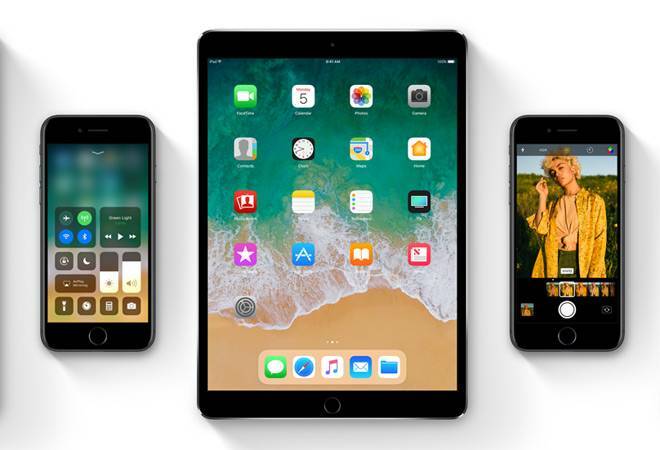 The iOS 12 will be supported by all devices running iOS 11, which includes iPhone 5S, iPhone 6, iPhone 6 Plus, iPhone 6S, iPhone 6S Plus, iPhone SE, iPhone 7, iPhone 7 Plus, iPhone 8, iPhone 8 Plus and iPhone X; iPad Air, Air 2 and 5th-gen iPad; iPad Mini 2, 3, and 4, and all iPad Pro models. While the final version of the iOS 12 will be pushed later this year, the Public Beta will be available for download later this month.